Cool weather is just around the corner. 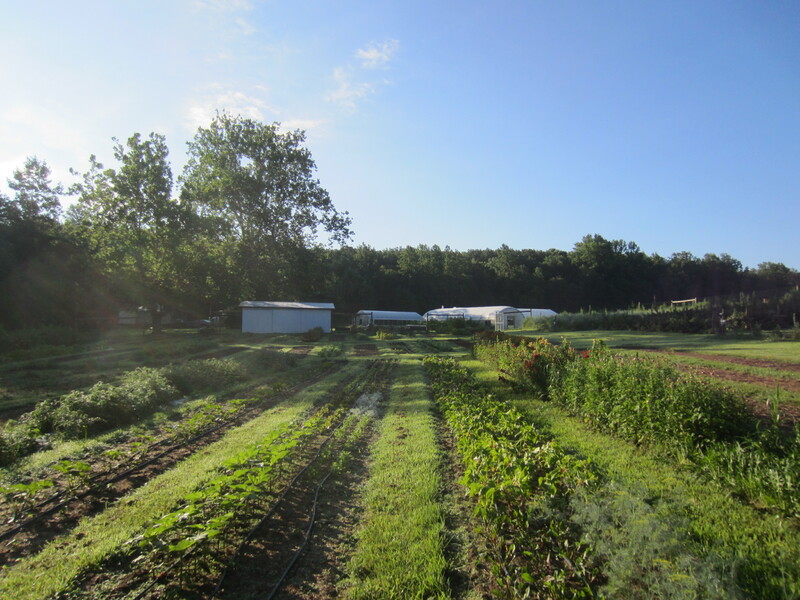 Mornings and evenings are inviting times to work in the garden. 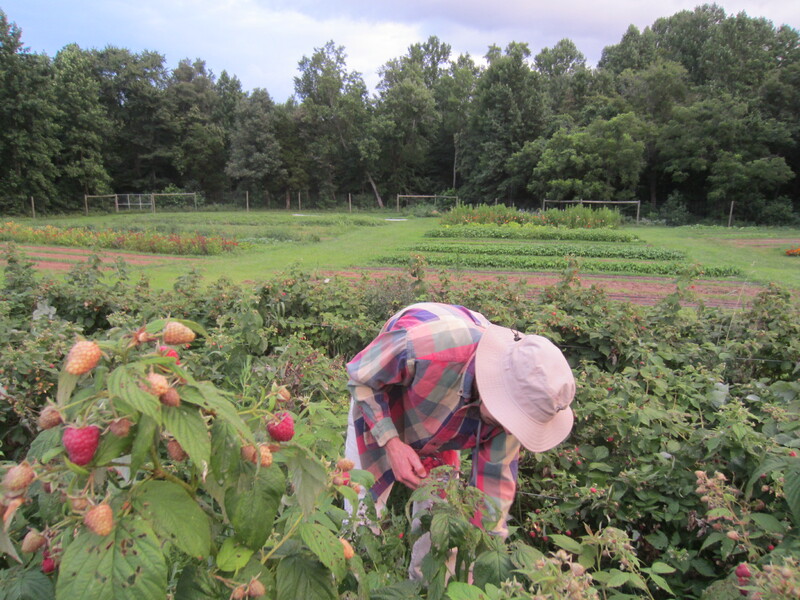 Summer fruit season is upon us with our raspberries and solanaceous crops coming in. We are loving the raspberries; they are loaded this year. The bugs are loving them too. We have a deal; we let them have at least 50% of the crop and they leave us the rest. Lots of bending over for hours on end to harvest these jewels. But the flavor is outstanding! 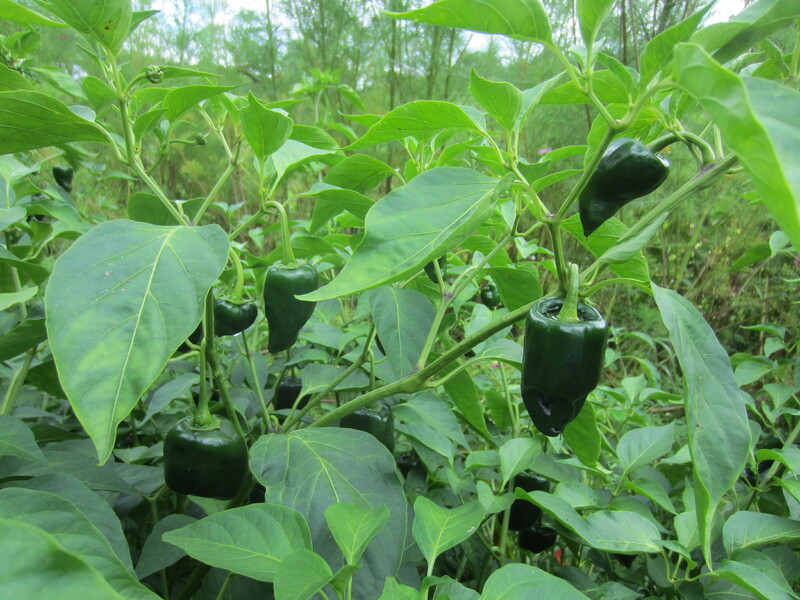 Poblano peppers… time for some chiles rellenos. 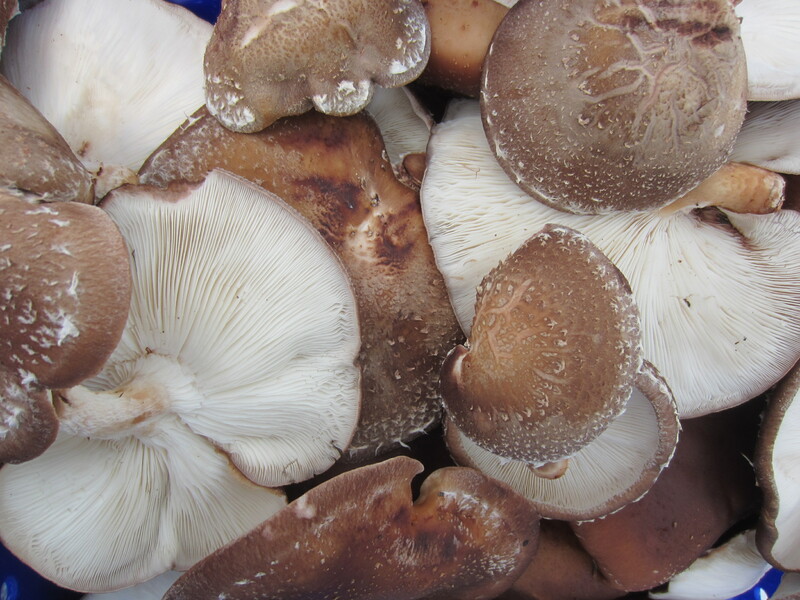 We’ve had two flushes of mushrooms over the past few weeks. Unexpected and welcome. Hopefully lots more to come this fall! Judging by the cut ends of the logs we inoculated this spring, it looks like they have had good spawn run. 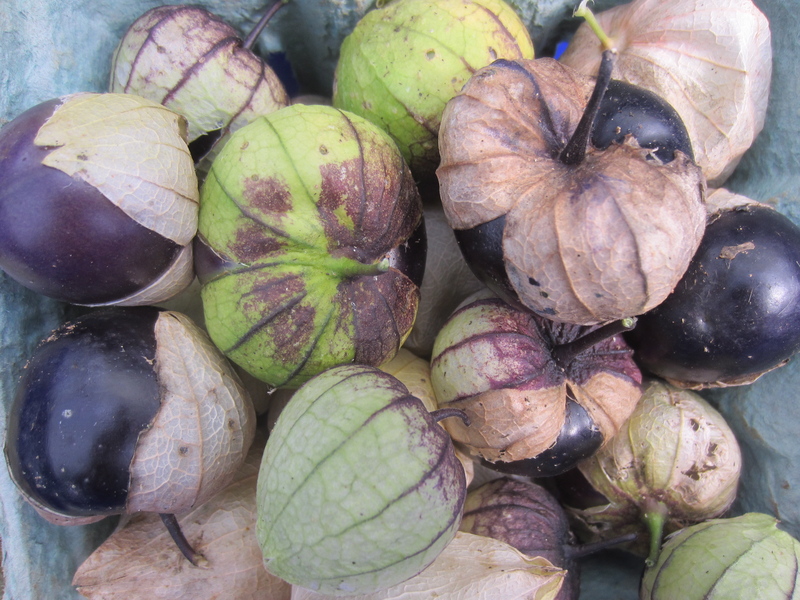 Purple tomatillos. For some reason these have been more productive for us than the green tomatillos. 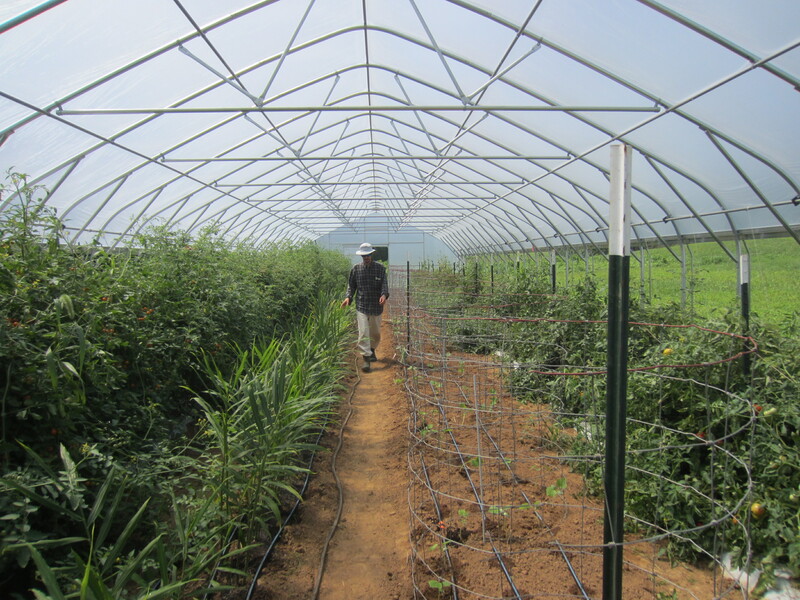 Tomatoes loaded down with fruit in the tunnel. Japanese black trifele. 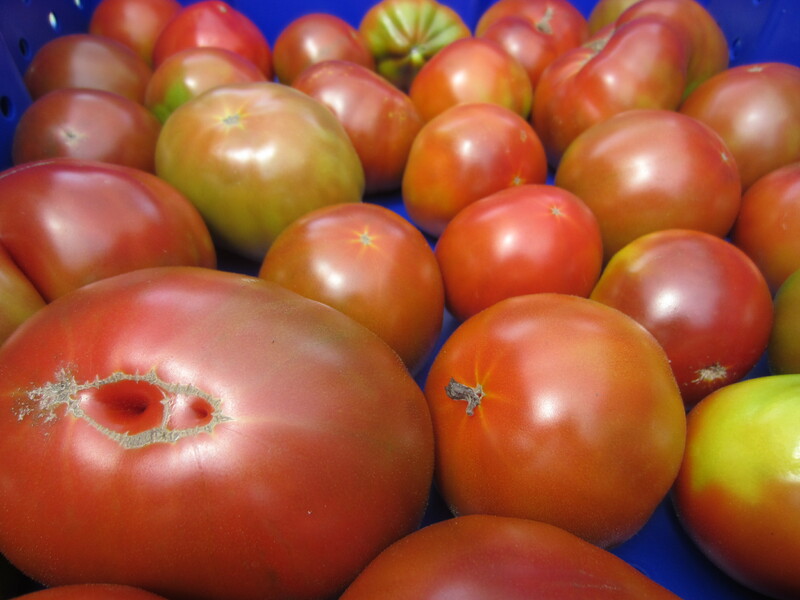 One of the heirloom varieties we grow. 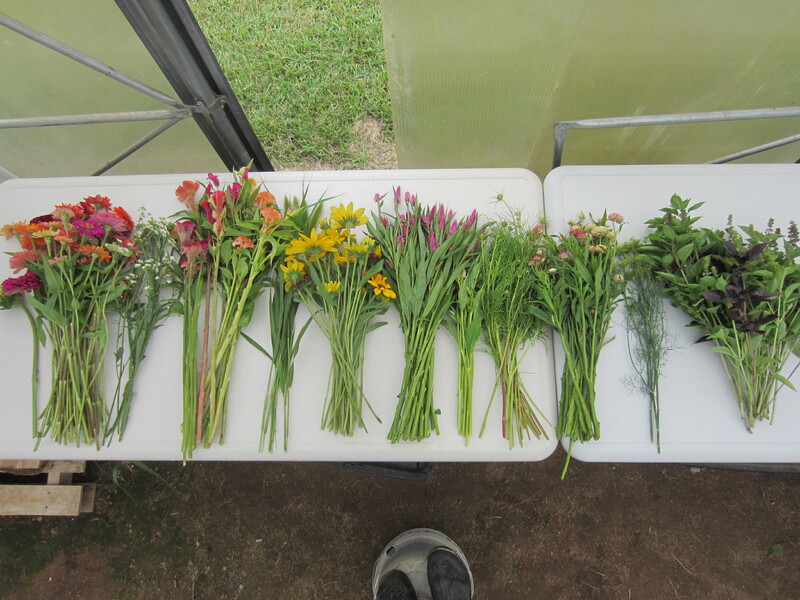 Making bouquets is a change of pace from harvesting vegetables. 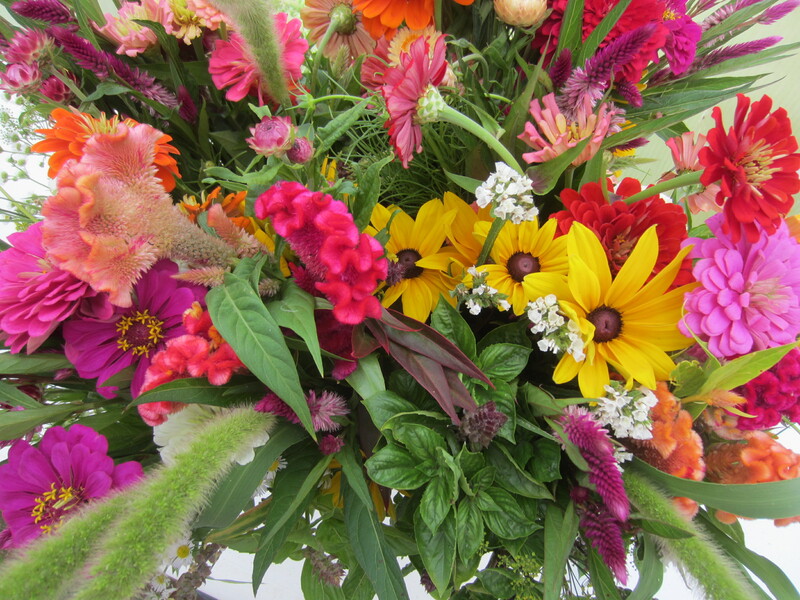 The bright hot colors of summer in zinnias, celosia, sunflowers, rudbeckia, gomphrena, and cosmos. 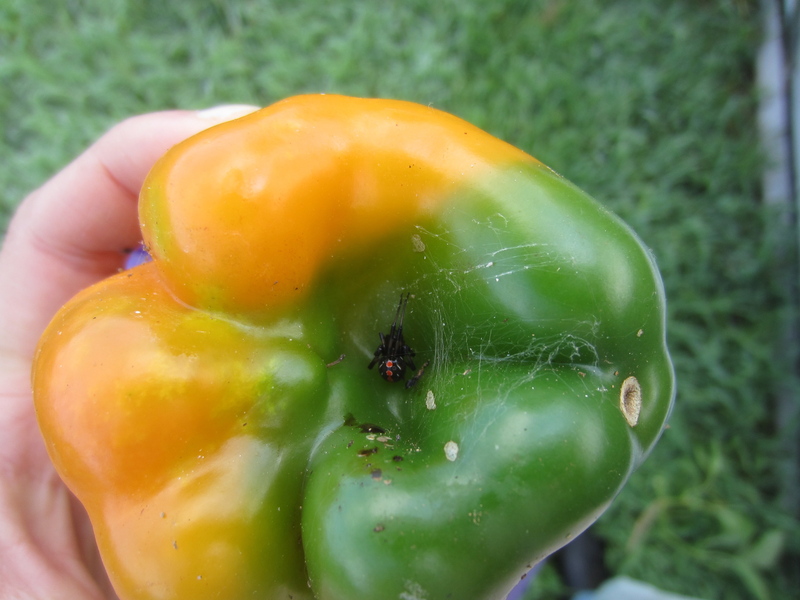 Another black widow lurking beneath a pepper. 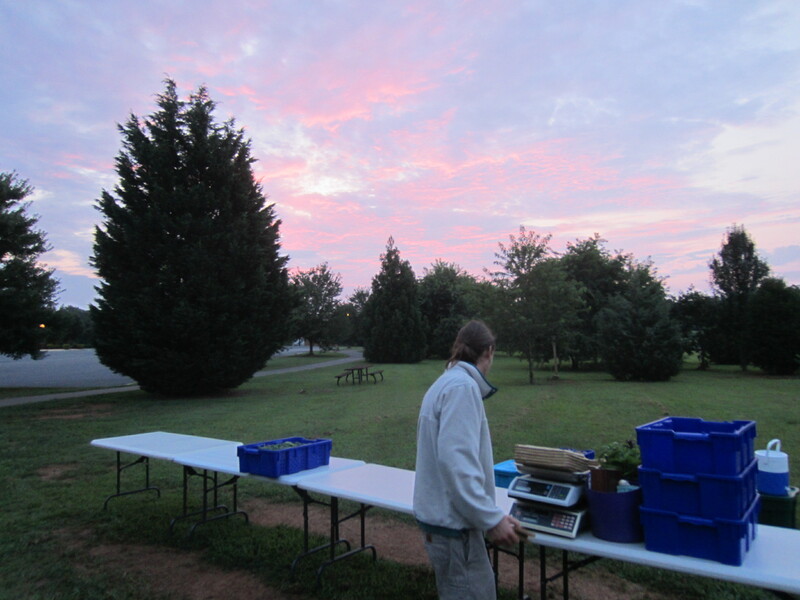 A stunning sunrise, setting up at market. 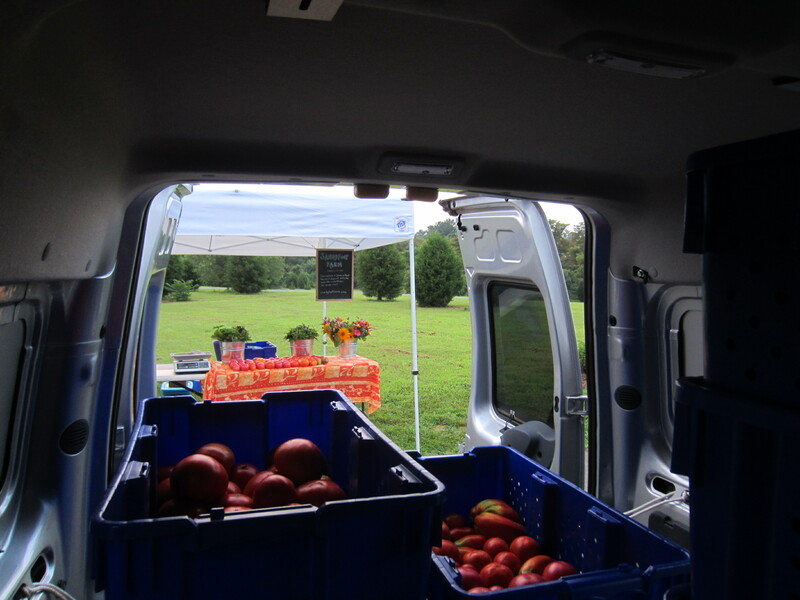 Everything we bring to market comes out of this tiny van! We love our transit connect. 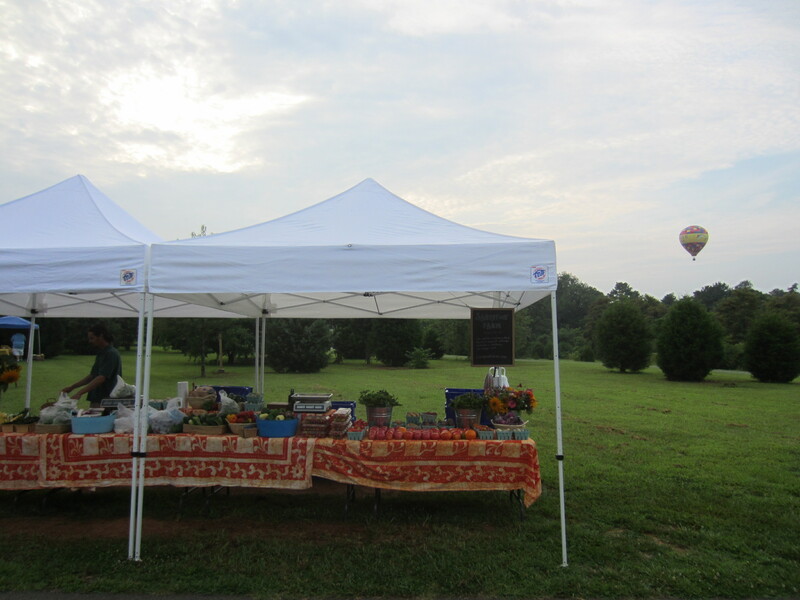 Must have been a beautiful morning for the folks in the hot-air balloon! Re-planting one of the beds in the big house to fall crops! 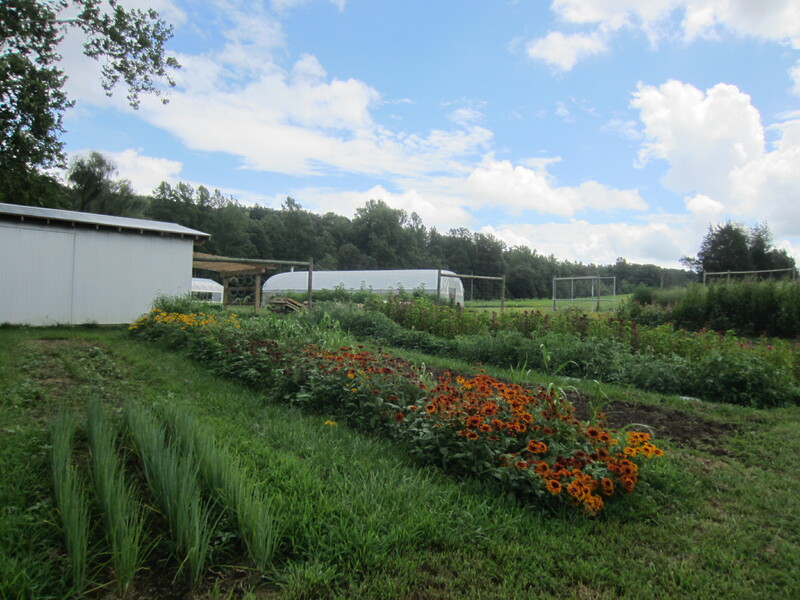 We have been busy mowing, tilling, and seeding fall crops; mostly outdoors but a few rows indoors as well. Not too long and we’ll be mostly done with planting for the year! 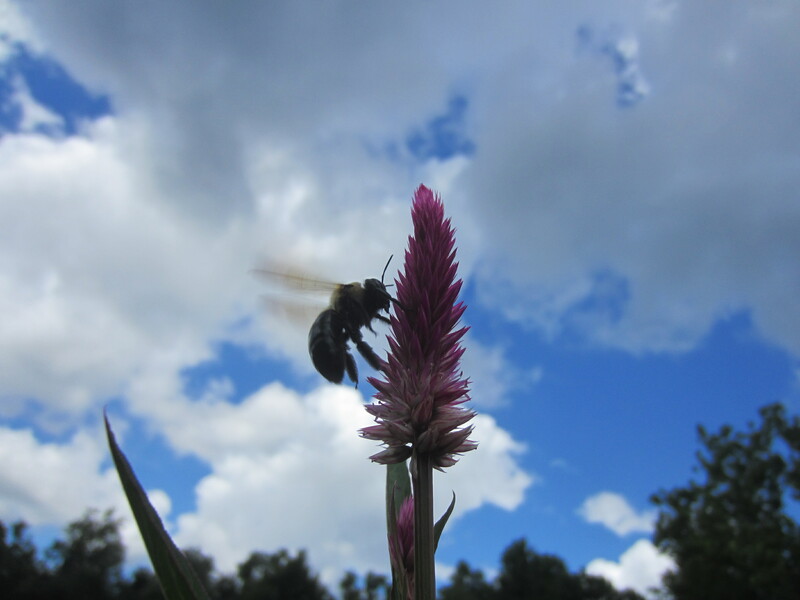 I will remember the summer of 2013 for the rain, and some spectacular cloudy skies. Oh, how I wish I could get to your market easily. 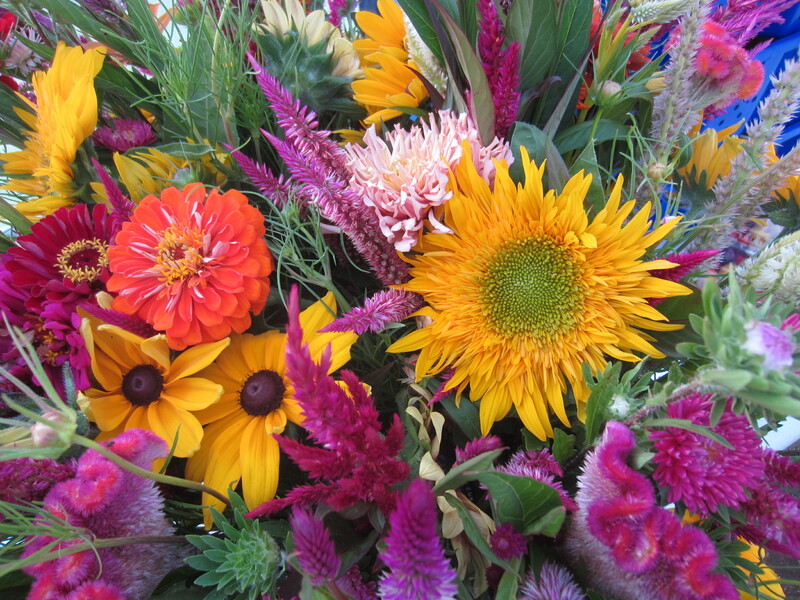 The flowers are beautiful and I know from experience that they last a very long time. 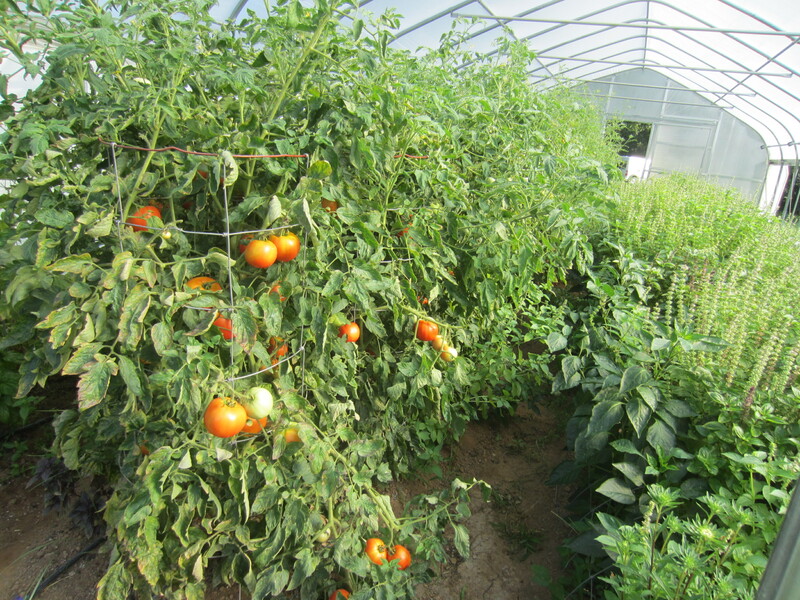 Your tomatoes look so much better than ours. Your photos are great. Take SOME time to rest! Meghan, you’ll have to come see it in person some time if you every get down this way! Hope you are doing well! Hi Doris, yes, those are the shiitake mushrooms. They are sooo good, if you’ve never tried them. We just saute them with butter and garlic. 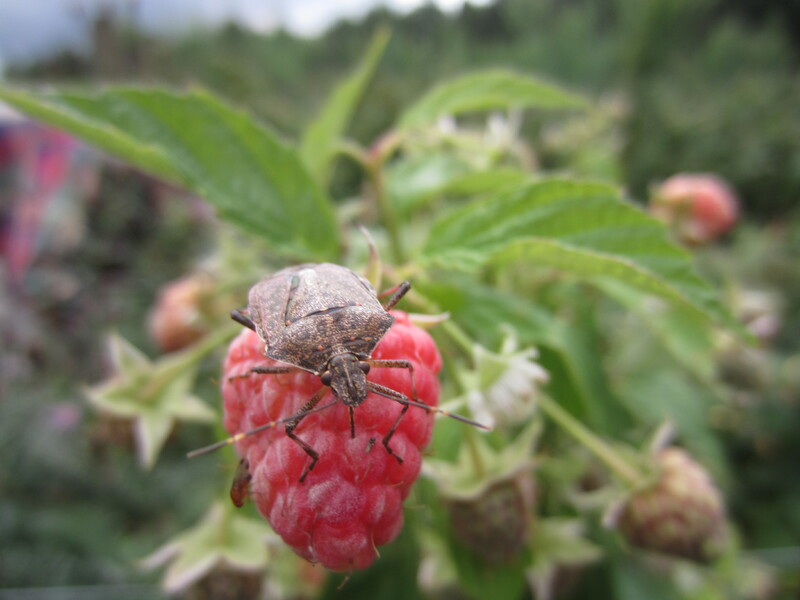 Hope you can get some fresh raspberries this summer!